Although we can’t say we’re too surprised, together with the release of Mac OS X Lion, Apple has released an updated line of MacBook Air ultraportable laptops. 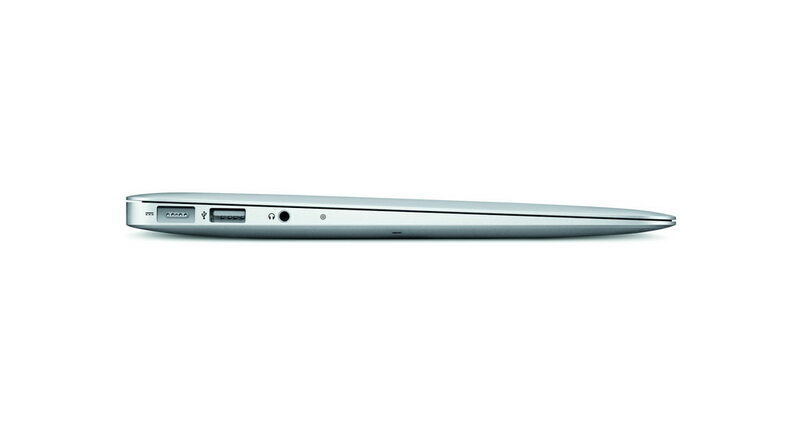 Both the 11- and 13-inch models have been updated with latest generation 2011 Intel Core i5 and i7 Sandy Bridge processors, Thunderbolt ports, while the MacBook Airs will once again sport back-lit keyboards. Apple has also officially axed the basic white MacBook, which, lets face it, would have now had limited appeal as both MacBook Airs will now be running on speedy processors. The basic 11-inch model, selling for $999, now features a 1.6GHz dual-core Intel Core i5 processor, 2GB of RAM and a 64GB solid state drive (SSD). For an extra $200 you can double both the RAM and disk space to 4GB and 128GB respectively while there is also a $150 option to bump the processor to an 1.8GHz Core i7. 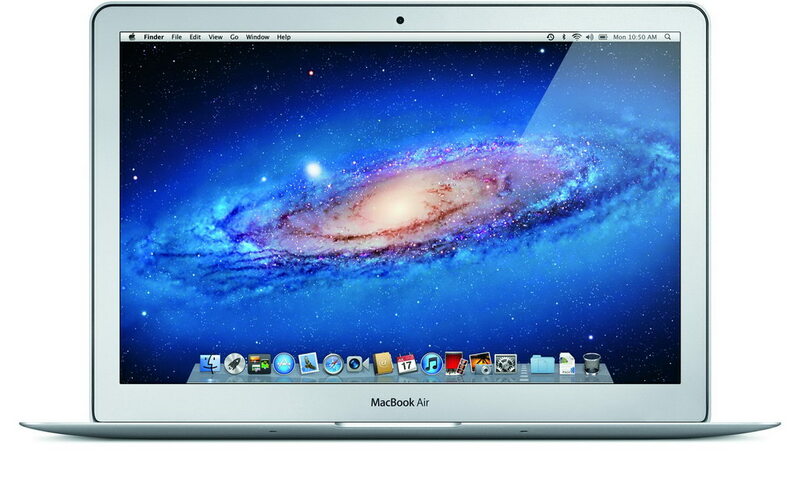 The $1,299 base 13-inch model runs a 1.7GHz dual-core i5 with 4GB RAM and 128GB SSD storage. Doubling the SSD to 256GB will cost you $300 more, while the 1.8GHz Core i7 option adds $100. The 11-inch model weighs 2.38 pounds with a disclosed 5 hours battery life, while the 13-inch weighs 2.96 pounds providing up to 7 hours of battery life. All models come with OS X Lion, of course, and you can order them online immediately — at least for now shipping is within 24 hours, so hurry up! Pictures and press release after the break. 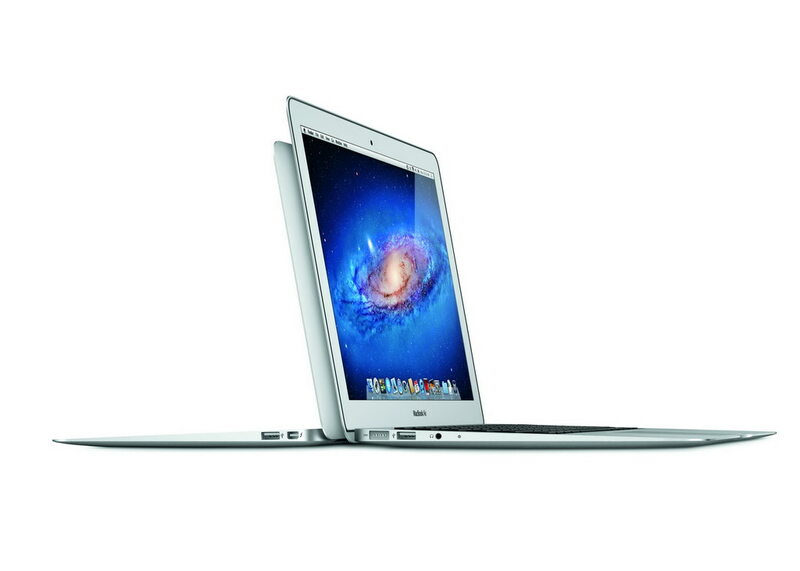 CUPERTINO, California—July 20, 2011—Apple® today updated the MacBook Air® with next generation processors, high-speed Thunderbolt I/O technology, a backlit keyboard and Mac OS® X Lion, the world’s most advanced operating system. With up to twice the performance of the previous generation, flash storage for instant-on responsiveness and a compact design so portable you can take it everywhere,* the MacBook Air starts at $999 (US) and is available for order today and in stores tomorrow. 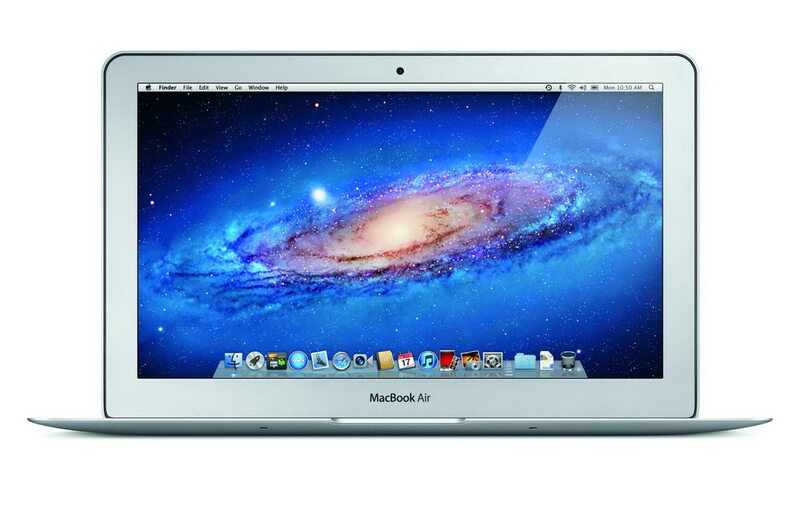 MacBook Air comes with a full size backlit keyboard and an innovative glass Multi-Touch™ trackpad. Designed for comfort and ease of typing, the backlit keyboard uses a sensor to automatically detect a change in ambient lighting and adjusts the keyboard brightness for any environment. The Multi-Touch trackpad supports Lion’s new Multi-Touch gestures such as momentum scrolling, tapping or pinching your fingers to zoom in on a web page or image, and swiping left or right to turn a page or switch between full screen apps. MacBook Air also features a brilliant, high resolution LED backlit display that is amazingly thin yet has the resolution of a much larger, bulkier screen. With ultra-fast Wi-Fi, you can wirelessly download apps from the Mac App Store™, get music and movies from iTunes®, back up data to Time Capsule® and quickly and easily share files using AirDrop. 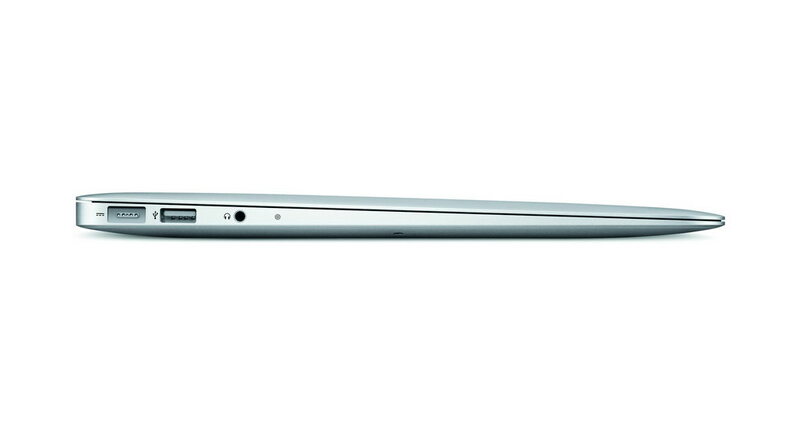 MacBook Air includes Bluetooth for wireless peripherals and two USB ports for easy connectivity for the wired and wireless devices you use every day. Apple makes the industry’s greenest notebook lineup and the new MacBook Air meets Energy Star 5.2 requirements and achieves EPEAT Gold status. *** Each unibody enclosure is made of highly recyclable aluminum and comes standard with energy efficient LED-backlit displays that are mercury-free and made with arsenic-free glass. Mac notebooks contain no brominated flame retardants, are PVC-free and are constructed of recyclable materials. Every new MacBook Air comes with Mac OS X Lion, the eighth major release of the world’s most advanced operating system, and iLife apps for creating and sharing great photos, movies and music. Lion introduces more than 250 new features to the Mac, including Multi-Touch gestures; system-wide support for full screen apps; Mission Control, an innovative view of everything running on your Mac; the Mac App Store, the best place to find and explore great software, built right into the OS; Launchpad, a new home for all your apps; and a completely redesigned Mail app. 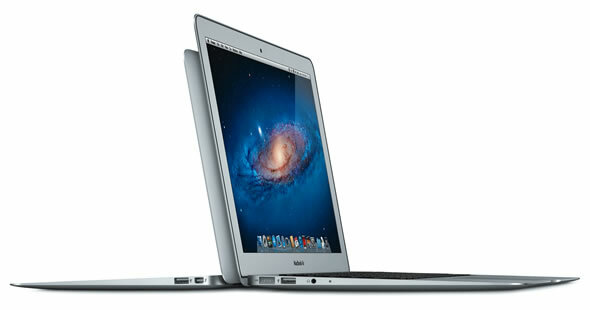 The 11-inch and 13-inch MacBook Air are available for order on the Apple Store® (www.apple.com) today and in Apple’s retail stores and Apple Authorized Resellers starting July 21. The 1.6 GHz 11-inch MacBook Air is available in two models, one with 2GB of memory and 64GB of flash storage for a suggested retail price of $999 (US), and one with 4GB of memory and 128GB of flash storage for $1,199 (US). The 1.7 GHz 13-inch MacBook Air comes in two configurations, one with 4GB of memory and 128GB of flash storage for a suggested retail price of $1,299 (US), and one with 4GB of memory and 256GB of flash storage for $1,599 (US). Configure-to-order options and accessories include a 1.8 GHz Core i7 processor, additional flash storage, MacBook Air SuperDrive® and a USB Ethernet Adapter.